There are few things as shocking and overwhelming as a dental emergency. Your mouth is in pain, you are unsure of what to do, and you know that you need prompt assistance. Fortunately, many dental offices keep emergency hours for these situations and are able to provide assistance to patients when they need it most. However, not all dental emergency assistance is created equal. Emergency care provided by an in-house and on-site laboratory makes treating dental emergencies faster and easier than ever before. These situations are unplanned, inconvenient, and potentially embarrassing. The goal of dental care providers in these situations is to get the patient’s problem corrected as quickly as possible to get them back into their routine as quickly as possible. 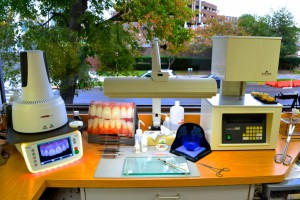 Unfortunately, many solutions to dental emergencies require the assistance of a lab to fix or replaced damaged prosthetics, which can take several days to a week to obtain. Sending the project out to a remote, off-site location prolongs the process much longer than necessary and leaves patients feeling uncomfortable and potentially insecure. A dental emergency quickly becomes a dental nightmare as people must live with pain or the unsightliness of broken teeth. 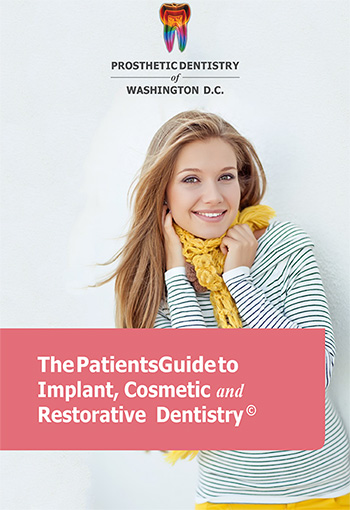 Prosthetic Dentistry of Washington D.C. and Chevy Chase houses an in-house laboratory to alleviate the inconvenience and discomfort of long wait times. When an emergency arises, PDWDC is ready and able to fashion crowns, veneers, and prosthetics much faster than others- typically even the same day. Patients’ emergencies can be promptly addressed, which means less time in the treatment room and more time getting back to your daily routine. When a dental emergency arises, timing is everything. Because they are unplanned events, they often occur when we least expect them and create havoc and frustration as we attempt to remedy the situation. The number one priority is to fix the problem and return to daily life with as little disturbance as possible. In-house labs are the solution to long, drawn-out processes that delay prompt treatment and leave patients feeling helpless. When you face a dental emergency, rest assured that our office has the skills and tools available on-site to get you back out the door with “all-natural” aesthetics and on with your already busy day. Always contact your dental office immediately when facing a dental emergency as prompt assistance can minimize damage to teeth, gums, and additional dental work.